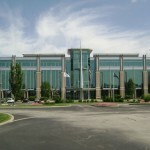 Complete renovation and fit out of a 4 story building, total – 80,000 square feet. This project included a kitchen per floor, conference rooms, offices, board room, training areas and a reception area. The Crown Castle project was completed in multiple phases, by floor, starting with the first floor so that the various departments could move in and occupy the space as they are completed. The challenging and fast track schedule included an eight week timeframe to complete the first floor, with an additional four weeks given to complete each of the remaining three floors consecutively.